Africans love soup and vegetable soup is quite special. 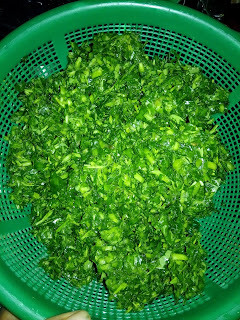 The freshness is inviting. 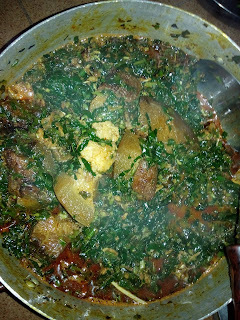 For soup you can use any type of meat like goat meat, beef, roundabout, cow or goat intestine (sharki). Soak your dried fish and stock fish in hot water for 15 minutes. 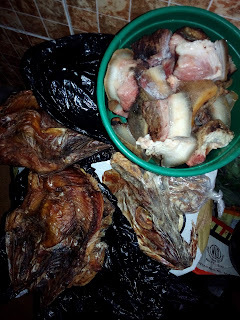 Remove the bones from the dried fish and stock fish. 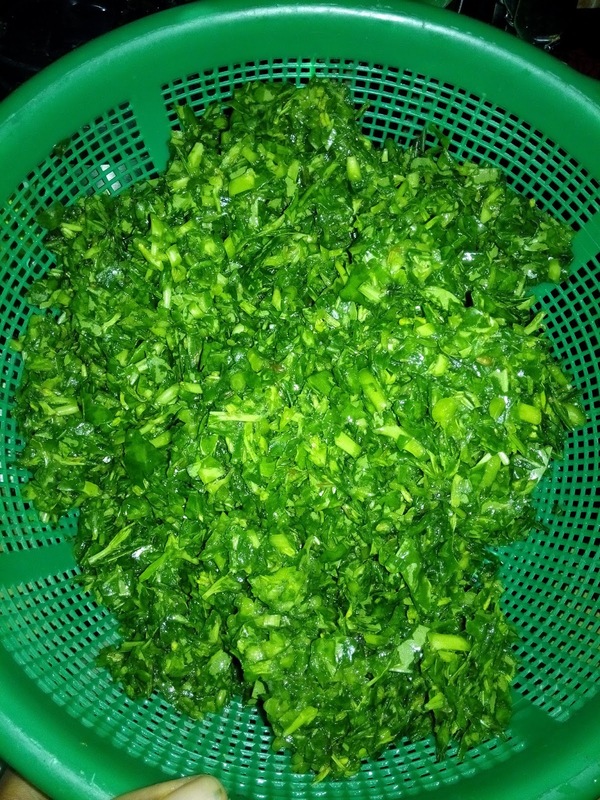 Wash and set aside. 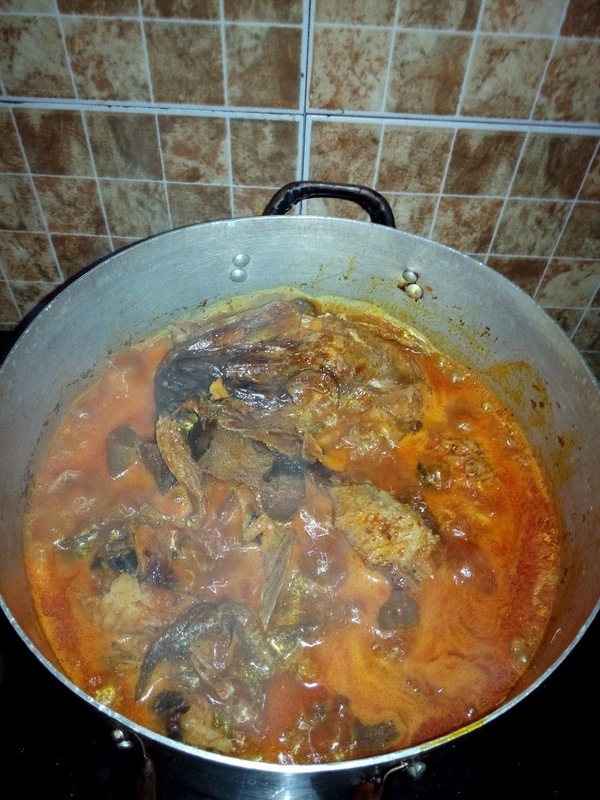 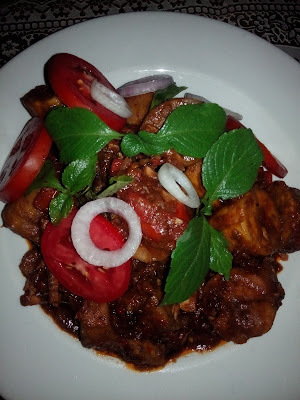 Wash your meat thoroughly with water and in a medium sized pot, add your washed stock fish and dried fish. 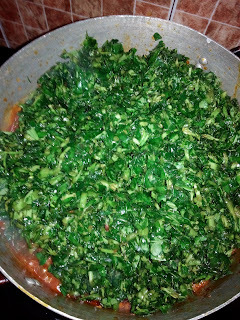 Add two (2) seasoning cubes, one (1) tea spoon of salt, a cup of water then leave to cook for about 15 minutes or more. 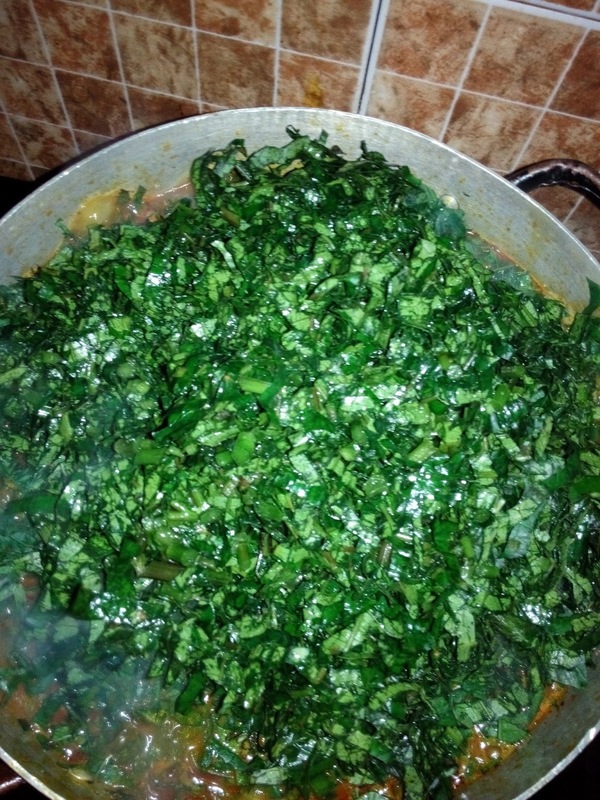 Turn off the burner and set aside. 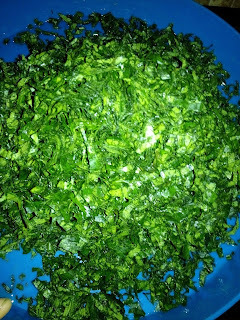 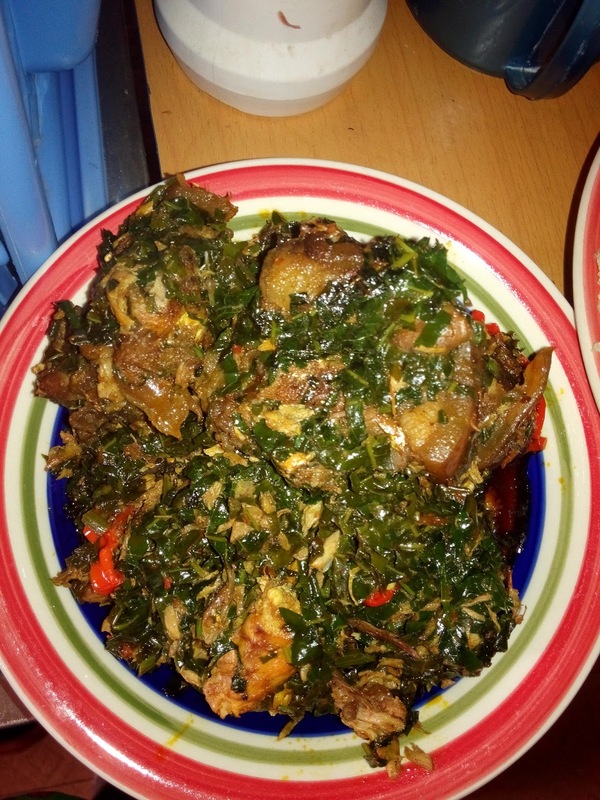 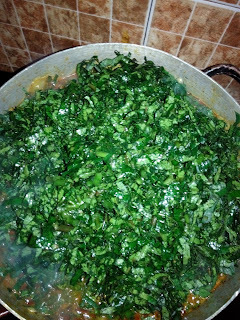 Thoroughly wash your waterleaf and pumpkin leaves (ugu), slice and set aside. Turn on your burner and put your cooked meat on fire, allow to cook for another 5 minutes. 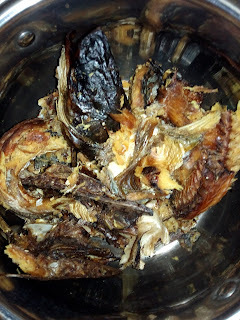 Add your dried pepper, seasoning cube, salt and and cray fish cover and allow to cook for about 15 mins, add your red oil cover allow to cook for 5 min open and check the taste if more salt is needed you add. 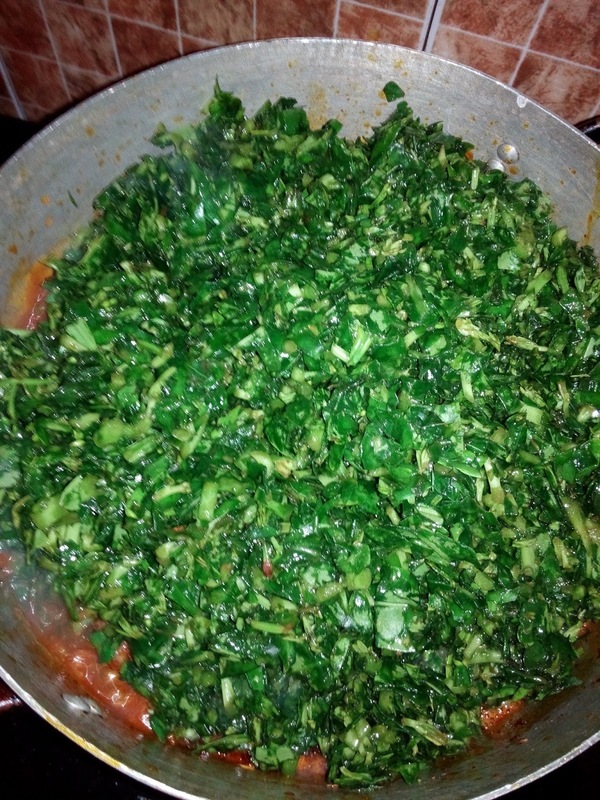 Add your waterleaf cover allow to cook for 5 mins open and turn, add your pumpkin leave (ugu).